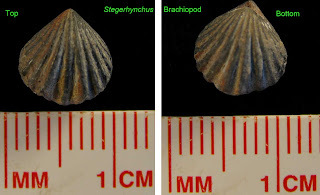 Pictured are 8 brachiopod fossils from the Paleozoic Era for sale. All were collected, cleaned and labeled by me. 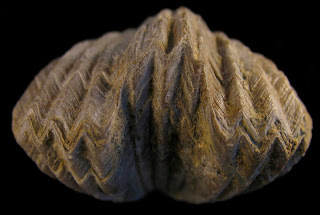 The fossils span about 140 million years of geological history representing the Ordovician, Silurian and Devonian periods. 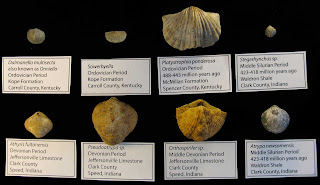 The fossils were found in the United States in the states of Indiana and Kentucky. UPDATE: This auction is over but some more are available that expire November 2, 2011. The star of this collection is the Platystrophia ponderosa which has been cleaned and has great growth lines visible. This is one of the best I have found. 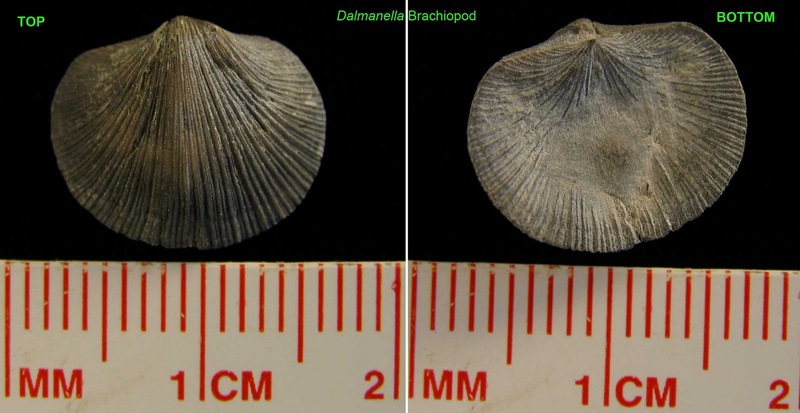 The Ordovician period is rounded out with small but detailed Dalmanella multisecta and Sowerbyella fossils found in the Kope Formation. 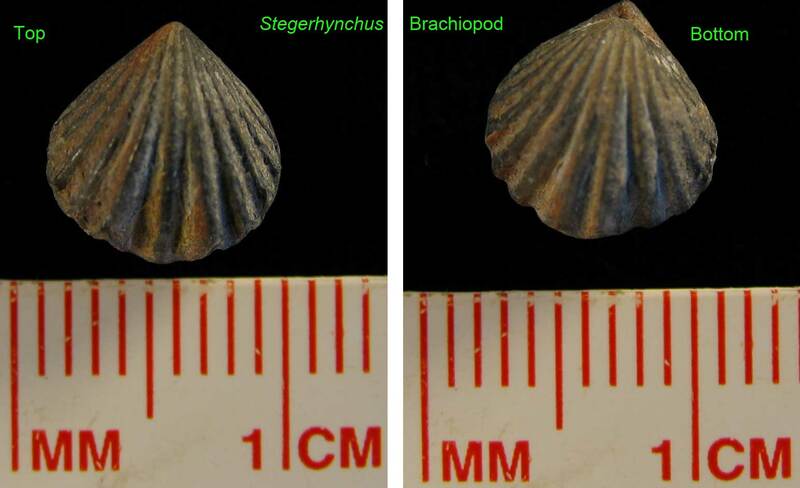 A well preserved Atrypa newsomensis and a small heart shaped Stegerhynchus brachiopods represent the Waldron Shale of the Silurian period. Some of the larger brachiopods are found in the Devonian period which is represented by the Orthospirifer and Pseudoatrypa. The last Devonian period brachiopod is the Athyris fultonensis which sort of has the oil lamp shell look. I have tried to identify these fossils the best I could. Hopefully, there are no mistakes. All the fossils will be in individual bags with an identification label. Ruler not included with fossils. 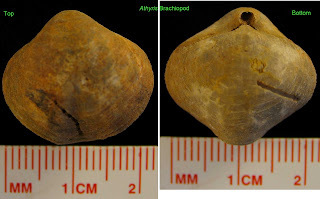 The package with fossils weighs approximately 5 ounces. 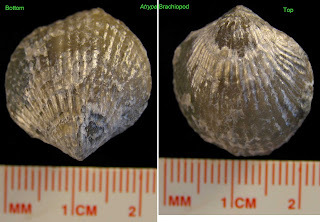 Check out this eBay auction for this brachiopod collection with a bidding price starting at $2.99 with shipping to a location in the United States at $4. 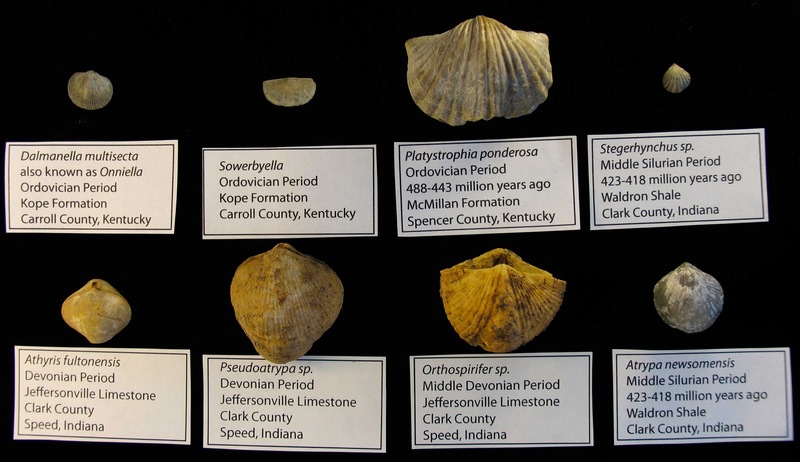 Good luck to all bidders and I hope the winner appreciates these fossils as I have.